Here is Part III of our end of year mailer. Thank you again for all your support! • The mailer was originally completed in early November, hence some of what is written is outdated, such as the opening lines below. We have also added links to videos that have been released since the mailer went out. As we are putting this mailer together, the pigeon shooting season at the notorious Philadelphia Gun Club is about to begin. Other pigeon shoot sites will also be ramping up. Pennsylvania's pigeons only hope lies with a handful of SHARK investigators, who will have to endure not only the violence of gun-toting thugs, but also careless and corrupt law enforcement and public officials. Walking away from the pigeons is simply not an option. Instead, SHARK is redoubling efforts against this vile cruelty. SHARK has invested in the latest high-tech drones that have incredible magnification. That means that we will be able to document all aspects of pigeon shoots as never before. This is important because Pennsylvania has a new anti-animal cruelty law that makes committing cruelty a felony - a much more serious charge than what it was previously. We intend to use this law to have shooters and shooting club owners charged with felonies for any violations of the law they commit, and to do that, we needed to have the latest and most advanced technology available. 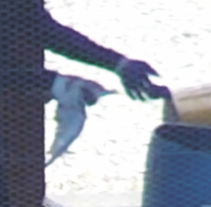 SHARK is the only animal protection group to have someone at a pigeon shoot in Pennsylvania successfully prosecuted, and that happened at the gun club in 2016, when we filmed a worker torturing injured birds. The charges that followed, and the guilty plea of the worker, made history. That will be just the beginning. The Philadelphia Gun Club and seven of its members, desperate to stop us, have filed another lawsuit, this time in Pennsylvania. This comes after they suffered major defeats when two previous lawsuits they filed - one in Federal court and the other in New Jersey - were dismissed. As with the suits we've already won, we will emerge victorious again. The problem is that it will cost a lot of money, just as it did to win the others. Why is SHARK the only organization getting sued by the pigeon shooters? Very simply, because SHARK is the only organization that is effective at fighting pigeon shoots. Other far larger groups with hundreds of times our resources and personnel have walked away. This isn’t supposition; it’s what has actually happened. Allow me to give you just a quick history lesson regarding the oldest and most infamous pigeon shoot location - the Philadelphia Gun Club. n 2009, SHARK was asked by the Humane Society of the United States (HSUS) to film a pigeon shoot at the gun cub and we agreed. 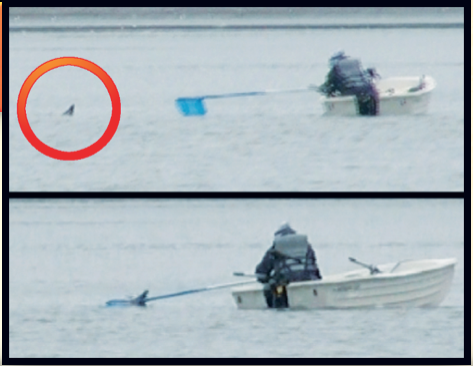 Once we arrived, we realized a boat was needed to rescue pigeons drowning in the river. Although HSUS has boats, our request to use one was refused! So, we bought our own boat. HSUS meanwhile, with hundreds of millions of dollars in the bank, walked away, never to return. Every round trip to Pennsylvania is 1,600 miles for us. The time away from our families is stressful, and then there is the financial toll of frivolous lawsuits. 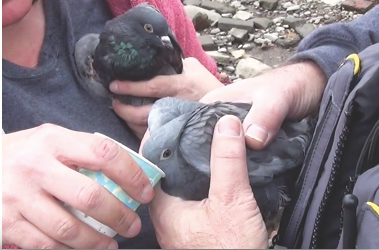 Why haven't we abandoned Pennsylvania's pigeons as others have? Because we've watched the wounded victims plunging into the Delaware River and drowning in the freezing water. They desperately need our help and, even though we constantly face threats and harassment, we will not fail them. I hope I can count on your support to help us go forward. Our team is ready to go, as you will see in coming weeks and months, but we need your support to fuel our efforts. We won't just talk - we'll show you our efforts in graphic and sometimes painful detail, but you will know that SHARK is on the front lines fighting for our voiceless friends with everything we have at our disposal. Our new drones have proven their worth by capturing unprecedented video of vicious acts of cruelty committed at a live pigeon shoot held at the Thunder Ridge canned hunt farm in Tioga County, PA, on October 28th, 2017. • You can watch the video of this cruelty HERE, along with videos taken using the same drone at Wing Pointe in November HERE and HERE. SHARK received a tip regarding a pigeon shoot that was going to be held in April at Schrader’s Bridgeton Manor, located in Maryland. The SHARK Team made the 1,600 mile round trip from Illinois. We were there waiting to document the shoot, but it didn't happen. Word got out about the shoot and Schrader's owner apparently believed (correctly) that we would show up. This was a major victory for the animals!